Two princesses are born seventeen years apart to the same father – but different mothers. Their father, King Henry VIII, swears that no woman shall ever wear the English crown. But when their brother, Edward, dies naming another woman as his successor, the two women take action – in opposing ways. 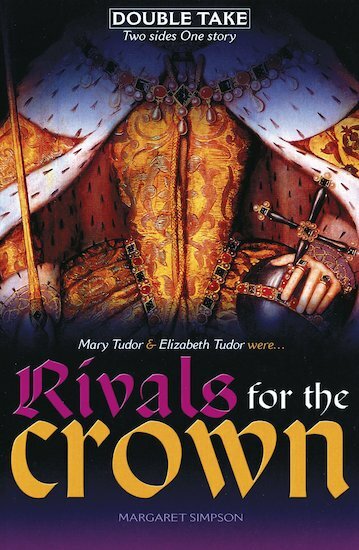 Forced by her father and brother to publicly renounce her beloved religion, Mary Tudor has a heavy cross to bear. Determined to restore England to the true Church, she decides to take matters into her own hands. Bright, beautiful and beloved at court, Elizabeth decides to lie low when Lady Jane Grey is declared Queen. But must she lie even lower if Mary gets her way? One great conflict. Two great stories. 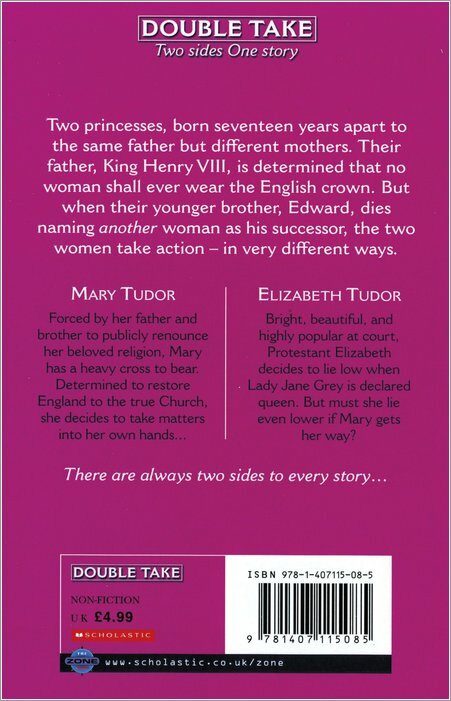 A brilliant author and screenwriter for children, Margaret Simpson is the author of Dead Famous: Elizabeth I, Mary Queen of Scots, Cleopatra and Double Take: Rivals for the Crown. She is somewhat of a Tudor expert, and has also written Arthurian Legends in the Twisted Tales series for Scholastic.